Is it as rainy and cold at your place as it is here in Berlin? Germany never had the best of weather but since the beginning of September Berlin takes the whole autumn-thing pretty serious. Rain and wind wherever I go. Usually at this time of the year I love to wrap myself in my favorite hoodie and just let the world go by with laptop and a good cup of tea. When I browsed through their collection I was amazed by how many amazing and unique designs they had! This is only the tip of the iceberg! 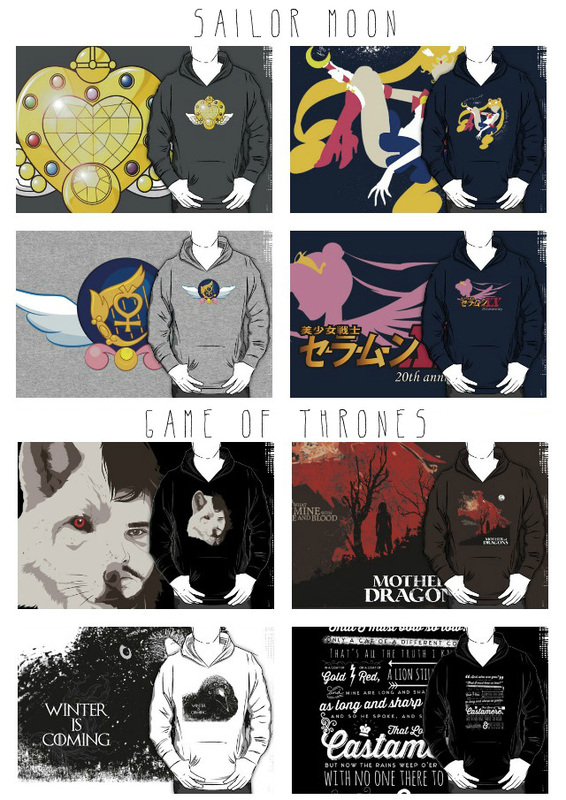 If I remember right Game Of Thrones had more than 5000 results in hoodies, wow! Of course, not everything is as pretty as these designs are but all in all the design quality is very high and they have the cutest shirts! ^_^ The only real problem I have now is..... I absolutely can't decide which one to buy. I should have stayed with the first I found - the more I browse the more amazing things I find and the more complicated gets my decision .__."" With RB you can chose from t-shirts, girlie t-shirts, long sleeve shirts, 3/4 baseball shirts, hoodies and zippers! The only thing I kinda dislike is that they have only few available colors for the hoodies. But my, I might just get a dark one so it will go with everything in my wardrobe. 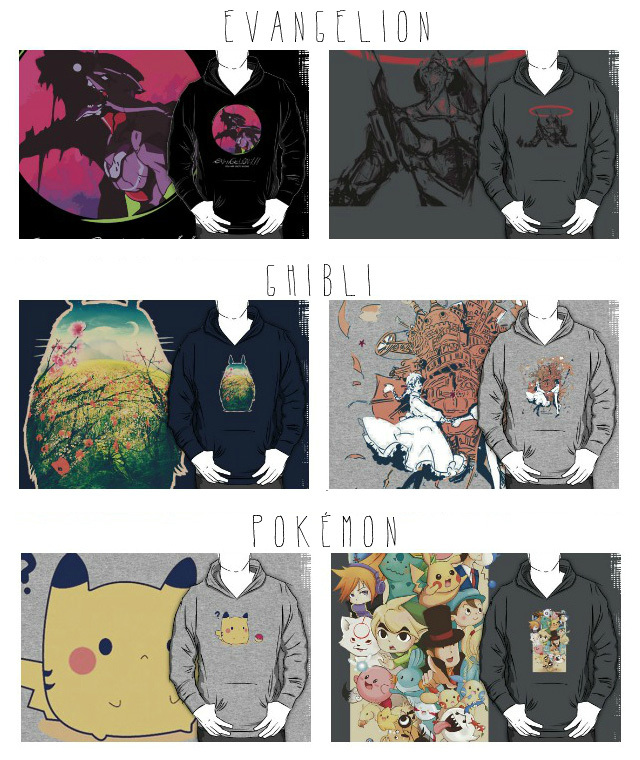 These hoodies aren't the cheapest with an overall average price of 40$ - 50$ for a hoodie (t-shirts are way cheaper) but I think for a unique design the money is well spend! Also, they use the textiles from American Apparel which explains the end price. What do you say? Do you like the idea of buying a handmade design from an artist who loved the series just as much as you did? I will definitely treat myself one next month! Oh, and if you get the newsletter you'll receive a 10% discount code for your first order :) Let me know if you find any other amazing designs!